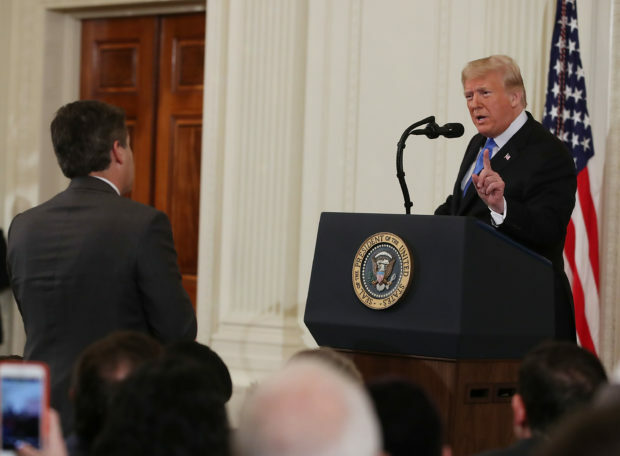 CNN’s Jim Acosta had his White House press credentials revoked after he refused to give the microphone back to an aide during a heated exchange with President Trump at a press conference on Wednesday. Acosta was rushed to a CNN studio to tell the tale of having his credentials revoked, but CNN refused to air the full clip of his interaction with the intern or challenge Acosta on his assertion that he never touched the White House intern. 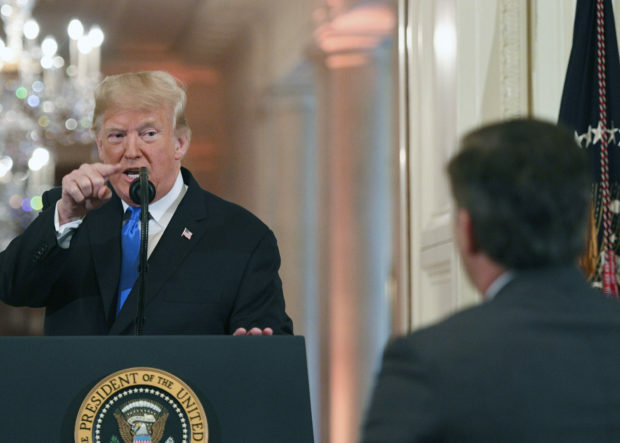 The dispute began when Acosta asked the president about his rhetoric on the migrant caravan and refused to sit down or stop yelling questions at the president. The president retaliated by attacking him and CNN as the “enemy of the people” while a White House intern attempted to move the mic to the next reporter. Many claims of doctored videos of Acosta’s interactions with female White House intern. Everyone deserves to see what REALLY happened. This is the completely unedited interaction clipped directly from the White House feed. You can see in the video, the intern came up to me — and attempted to take the microphone away from me. All I can say at that point is that I was trying to hang onto the microphone so I could continue to ask the president questions. Obviously, you know, I didn’t put my hands on her or touch her as they are alleging. As Acosta said this, CNN displayed the clip but cut it as soon as the exchange with the intern was about to happen. Cooper did not challenge that the video clearly shows Acosta “touching’ the intern. Host Anderson Cooper instead read tweets from other journalists supporting Acosta.